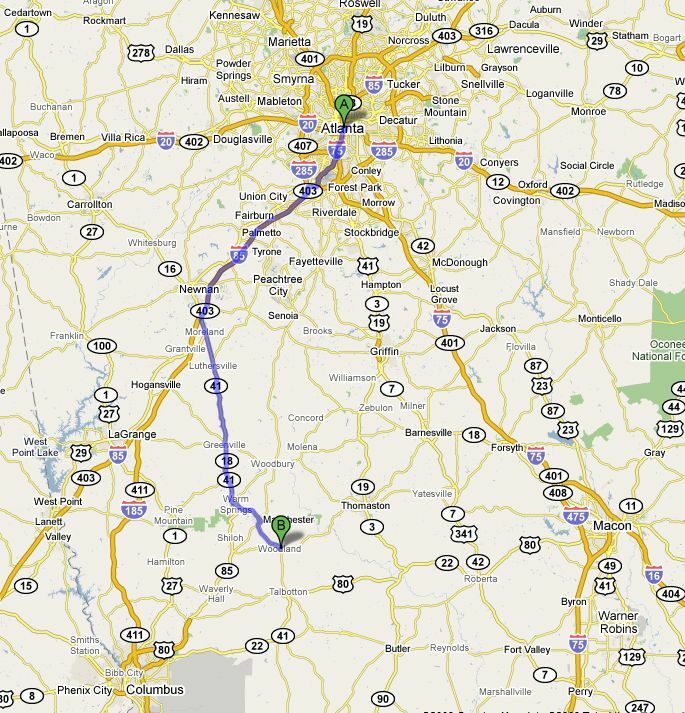 Directions from Atlanta: Take I 85 south to exit 41, GA ALT 27 (which is also 41). Go south, left on GA ALT 27. At Greenville you will go around the courthouse then continue south on 27. As you enter Warm Springs, at the traffic light go straight, do NOT turn right onto 27. Go one block through the town of Warm Springs then turn right at the stop sign, staying on 41 (Roosevelt Highway). Go three miles to Manchester. In Manchester, take a left on Second Street, staying on 41. Go a few blocks to the light at Broad Street and turn right, staying on 41 which is now GA 41/85. In about two miles the road forks with GA 85/27 on the right and GA 41 on the left. 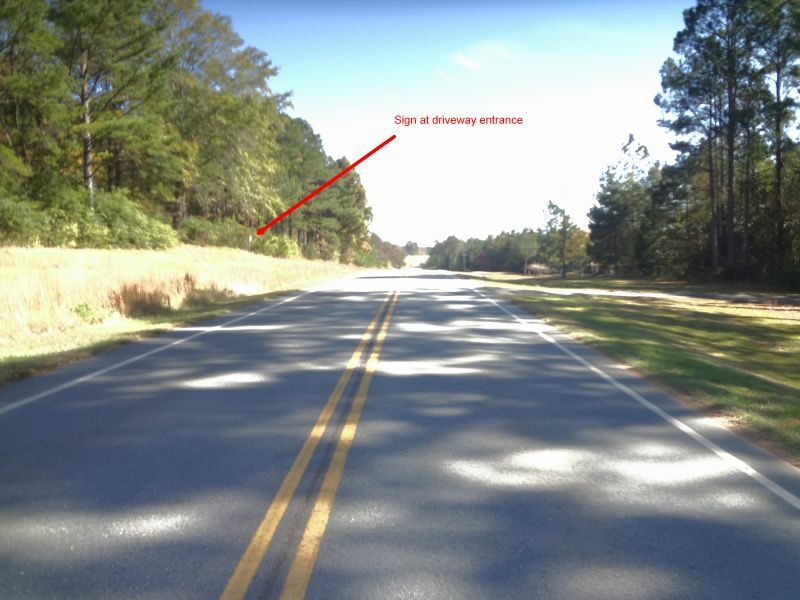 Stay to the left on GA 41. 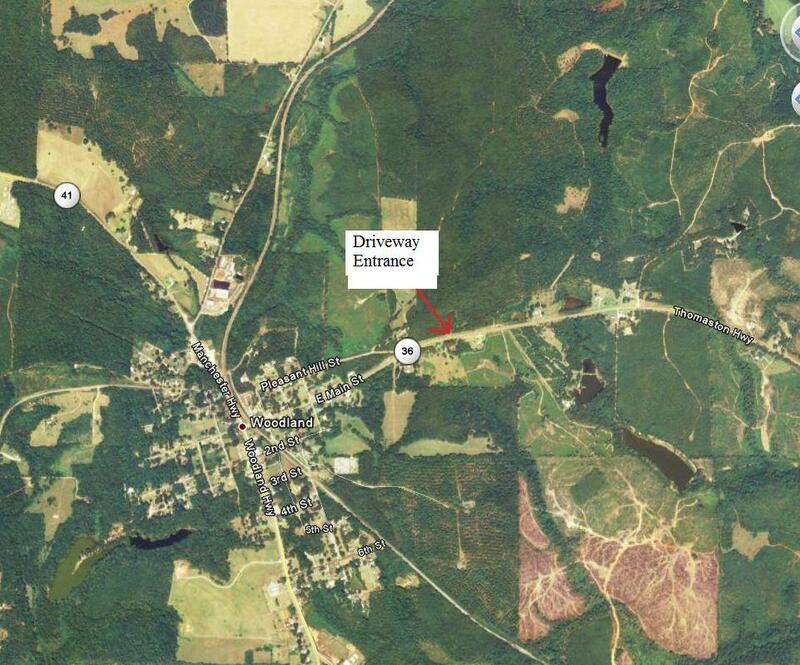 Go about 7 miles on GA 41 to Woodland and turn left on GA 36. Then follow the directions above. driveway entrance viewed from Hwy 36 heading East out of Woodland. 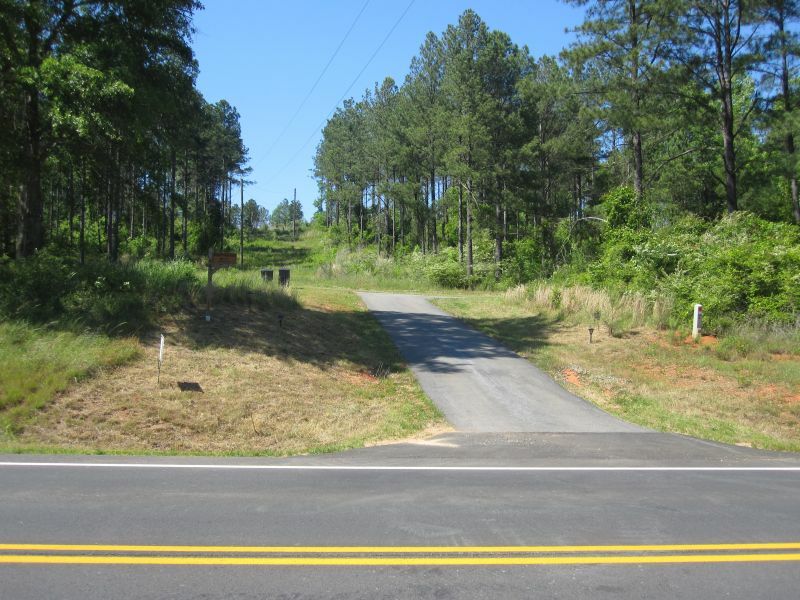 Entrance from Thomaston Hwy (Ga Hwy 36 East). Sign is on left. Entrance has solar pin lights on both sides. 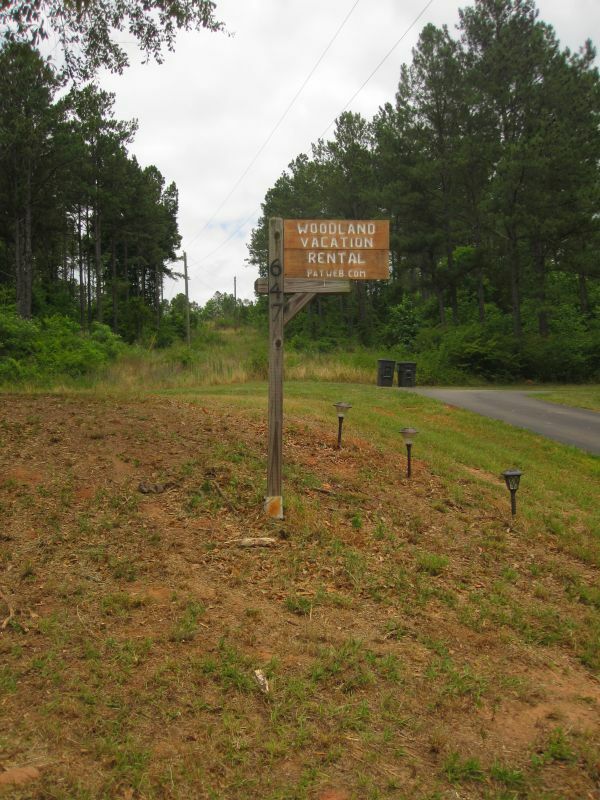 by email at woodlandvacationrental@patweb.com or by phone at (404) 541-9556.